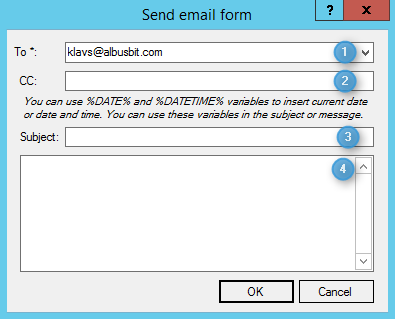 A task is a set of configurations, which helps you to automate the report generation process. 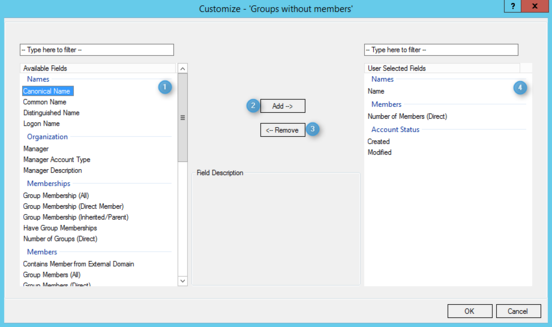 Task configuration consists of name, connection, report form and its field configuration, and a range of report result processing options. Auto-generated task ID. It is a read-only field and is used for task identification. For new a task it will be empty, because it is generated when the task is saved. Connection used to execute the task. Task report form display field settings. If it is not set, the default display fields will be used. Tick to save the report to the database. Tick to export the report to a file. Enter the report export path. Create the export file name mask. Test the file name mask to make sure it provides the results you want. Tick to send the report by email. 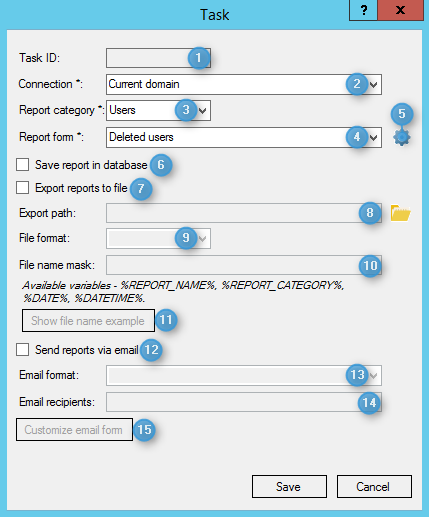 Choose the report email format.